This extremely sophisticated indoor pendant light takes its inspiration partly from baronial hall lights, partly from industrial factory-style lamps. The result is a clean, stylish but slightly unusual design which brings certain grandeur to any room – but looks particularly good in a hall or above the dining table. 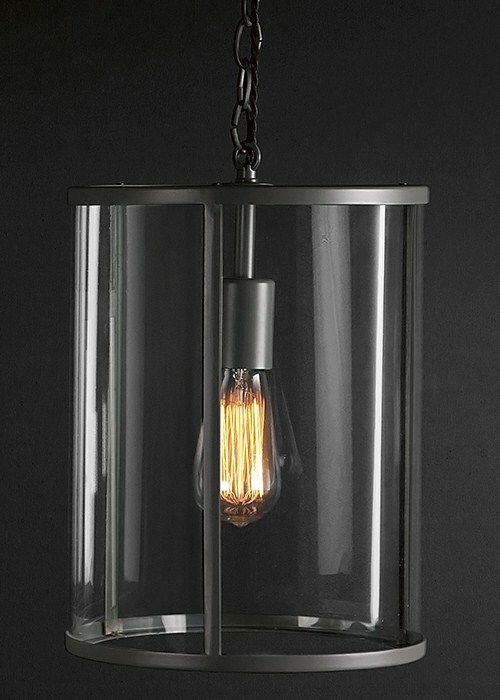 The Cadogan Pendant Light has a cylindrical glass shade with a sturdy steel rim which has been powder-coated a warm, smokey fireside grey. 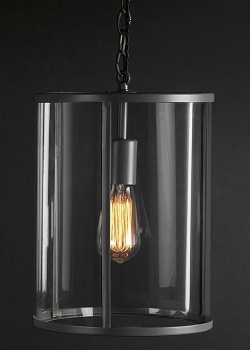 The light comes complete with a hanging chain or an optional suspension wire as standard and, as a finishing touch, a gorgeous ‘squirrel cage’ bulb.